Here is the card I made for the ABC challenge. Each week they set a challenge denoted by the letters of the alphabet. This week they were up to 'I' and the challenge was to decorate the 'inside' of the card. I like the inside better than the outside LOL - it would make a lovely card front! Gorgeous card - inside and out! Beautiful card - love your colour scheme!! I really must do more to the inside of my cards - it's such a nice finishing touch. 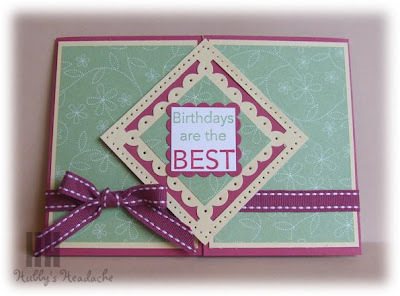 Beautiful card, love the colours and your design! I love the front and the inside, very pretty! Thanks for joining the ABC challenge this week. 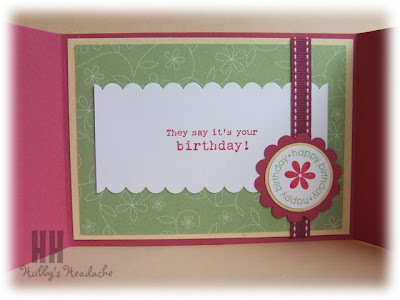 Fabulous card, love the colour combo. Thanks for joining in the ABC challenge this week.